When inbound marketing fails to produce adequate leads, B2B companies add SDRs, sales development reps, to their outbound marketing strategy. SDRs focus on outbound prospects. When ecommerce and sales become more data-driven and reliant on analytics, companies like Salesforce adopt the lucrative practice of restructuring sales pipelines into different phases with supplemental roles. 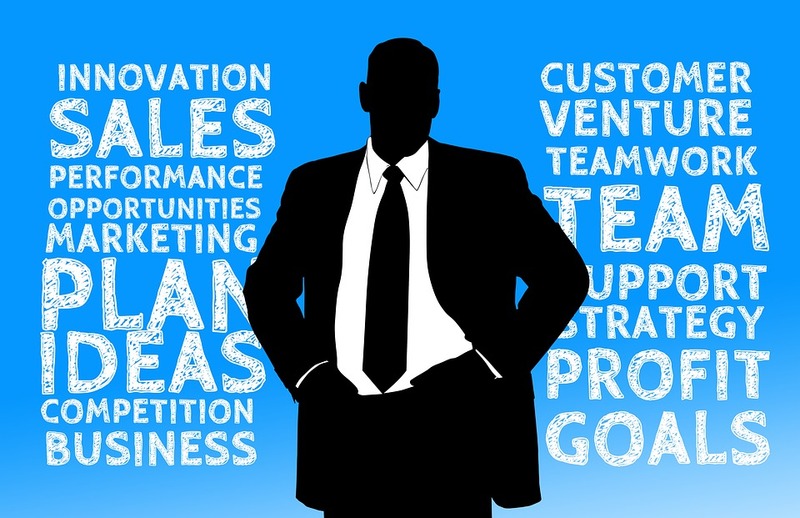 Sales development reps are one of these key roles. Unlike traditional salespeople, SDRs do not handle direct sales. They are more concerned with lead development along the sales pipeline. Companies with SDRs in place have experienced massive revenue growth by separating sales organizations into specific roles. SDRs receive leads from the marketing department and then call or e-mail each lead to identify which ones qualify for further engagement. Then they forward the qualified leads to the sales department. SDRs make the sales pipeline more efficient for sales executives to close deals. An outsourced SDR system can be a cost effective path towards successful lead generation and conversion. Inbound marketing strives to lead prospective customers to a website through a sales content pipeline. Inbound marketers initially focus on solving the problems of their audience by building a presence on the forums, chat rooms and social media sites they frequent. Sales development reps are outbound marketers. Instead of leading potential clients to the company website, outbound marketers seek out prospects directly and inform them about products and services. The most common form of outbound marketing is cold calling. Although based on statistics, cold calling is bit more challenging than it once was, it is still an effective component of your overall outbound sales strategy In 2007, it took approximately 3.68 calls to generate an opportunity. Now it takes 8 calls or more to create the same opportunity. That being said, it’s that much more important to leverage the telesales investment as much as you can. Outsourced SDRs require attention to detail that did not exist for AE’s in the past. In the present day, content drives sales conversion. People respond to branded content they find through social media and e-mail. More information can be conveyed about your company’s products and services through strategically crafted content than can be shared in a series of brief phone conversations. The problem is that companies exhaust resources when they place this responsibility on their sales team. It’s better to delegate lead generation and content distribution to an SDR. Traditional business growth through organic expansion requires substantial investment in proprietary assets that rarely show an immediate return. An experienced and effective in-house SDR will likely cost at least $60,000 per year, not including benefits. These teams are slow to hire. They are difficult to maintain in-house, and they only represent half of the sales department. Outsourcing this position to a virtual team reduces overhead costs substantially. Outsourcing the prospecting process also puts your in-house sales staff in an environment where closing deals with vetted candidates gets all their attention. In-house sales departments are then in the position of focusing on closing deals only with prospective clients they know are interested. You also cut significant costs to an invaluable asset. The objective of using outsourced SDRs is to increase growth, while also controlling costs. Once you have identified your market, the only limitation to sales growth is a lack of leads or account executives to close deals (review our thoughts on the value of data appending) . By outsourcing your SDRs you can increase pitch reach by 50 to 100 new people a day and automate the process. In the past, small to medium enterprises hired excessive SDR staff, purchase leads and then work their way down the cold call list. This method lacked the intuitive targeting that is now available through data science, machine learning and the more intricately evolved internet. Connecting with prospects requires substantial resources and time. Demand generation firm Vorsight notes that it takes more than 12 dials to connect with a single prospect through direct phone numbers and more than 18 dials to connect through switchboard numbers. They estimate it takes over 22 dials before a sales person gets to one meaningful conversation, and three meaningful conversations before an appointment is set up. They conclude it can take 90 dials before an appointment is ever made. When looking at the data, it becomes clear an SDR is needed to make sales departments more efficient. However, it is also a challenge to hire and retain qualified SDRs. This makes it much more rational to employ an outsourced SDR. Outsourced SDRs are one of the most effective growth hacks to help businesses extend their reach. It is critical that considerations be placed on retaining and training qualified sales staff. There is also a learning curve that can arise when adapting an in-house sales team to leveraging the growth that comes with a remote team. Sales leaders successfully recruit sales development reps; they survive the on-boarding process and retain all of the right talent, only to realize the SDR team’s performance lags due to ineffective lead targeting. Top experts in SDR recommend outsourcing the management of the team as well. There is a steep learning curve associated with the different tools and strategies common with outsourced lead generation and content distribution. Hiring an experienced SDR team manager, who is familiar with the latest tools and methodologies, can dramatically speed up the process. One advantage of outsourcing to an SDR team is they have the expertise to ensure all communication between SDRs and your in-house staff happens seamlessly. Both your virtual team and in-house staff need to work together as one cohesive unit. Communication gaps make collaboration between SDRs and sales executives very difficult. The benefit of outsourcing SDR speaks for itself. The national average salary of an entry-level sales development rep is around $63,384. The salary doesn’t take into consideration the cost of benefits, training and the hiring process. Outsourcing is more cost effective, but only when executed effectively. How do you ensure that when you invest in outsourcing your SDR team that you get what you pay for? Hire an experienced SDR team manager to ensure the recruiting process is executed with the end goal in mind. Place a priority on experience when recruiting your SDR team manager and it will decrease the initial downtime. When B2B companies share assets among one another to more efficiently progress their bottom line, this is known as leveraged growth. Leveraged growth has always been a business strategy available to industries, but until recent technological advances, it was not feasible to put a virtual sales team together that could effectively handle the challenges that come with outsourced lead generation. For example, dispersed sales teams need to exchange large amounts of data in real-time. New Web server architecture providers, like Slack, Trello, Zapier and Asana, make information management a much more efficient process for small to medium enterprises. Companies maximize the value of outsourced SDRs by expanding operations but retaining the same infrastructure and assets. The best way to ensure you get what you pay for is to gradually grow your remote SDR team. If you focus on establishing durable relationships with quality sales reps that fit with the core expectation of your company’s culture and brand, operations will scale organically.